Harvest Happens at Bellewood Acres: Through October. Apples, cider, corn maze, duck run, farm tours, distillery tastings, Country Café. Weekend fun includes apple bin train rides, corn cannons, and facepainting. Open daily 9 a.m. to 5 p.m. BelleWood Acres, 6140 Guide Meridian, Lynden. 360-318-7720, www.bellewoodfarms.com. HOSA Pop-Up Shop and Scoundrels Release: Saturday, Sept. 1. HOSAco is releasing their first Harvest Series sauce, a limited edition craft hot sauce that’s a sweet friend to their flagship Standard. 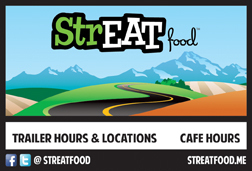 Come out for StrEAT Food specialties, Kulshan Brewing Company taps, and free samples of HOSA.1-7 p.m. Kulshan Brewing Company, 2238 James St, Bellingham. Home Composting 101 Workshop: Tuesday, Sept. 4. Hosted by Skagit County Master Composter Recycler Program. Learn to turn yard and garden debris, even kitchen food scraps, into rich, soil amending compost for your lawn and garden. Compost helps break up clay soils, drain and retain water, and feed your soils naturally over the long term. Troubleshooting questions welcome! 5-7:30 p.m. 16650 WA-536, Mt Vernon. Meet in the main outdoor pavilion at the WSU Discovery Garden, 16650 State Route 536 Mount Vernon. Free and open to the public. Held rain or shine, bring your gardening attire, and dress for the weather. Questions? 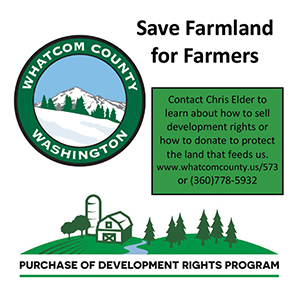 Contact Callie Martin at 360-416-1575 or calliem@co.skagit.wa.us. Upper Left Beerfest: Friday and Saturday, Sept. 7-8. With the support of the City of Everett as well as the Downtown Everett Association, the Upper Left Beerfest returns for two days, with over 30 of the best breweries and cideries from around the Northwest, as well as music, food and more. 21+ only. Each ticket (per day) will include a 5oz. Upper Left Beerfest commemorative tasting glass and 6 tasting tokens. Friday hours 4-8:30 p.m. Saturday noon to 7 p.m. Located in downtown Everett. See upperleftbeerfest.com. Growing Sedums: Saturday, Sept. 8. Growing hardy sedums is fun and relatively easy, but growing tropical sedums is where the real fun and challenge comes in. David Parker, a local specialty plant enthusiast, will share with you his years of experience as a collector and passionate plant parent. Free. 9 a.m. Garden Spot Nursery, Bellingham. 360-676-5480, garden-spot.com. Ciders of Washington: A Guided Evaluation of the State’s Best Ciders: Friday, Sept. 8. Join WSU Fermentation Specialist Bri Ewing for a guided sensory evaluation of cider from all over the state. Tickets include cider tastings, light snacks, parking, and instruction. Mount Vernon’s and Burro Loco Cider and Ferndale’s Renaissance Orchards are helping to sponsor the event. Tickets are $10/$30. 21+. 1-3 p.m. Center for Advanced Food Technology (Located at the Everett Yacht Club), 404 14th Street, Everett. See https://www.brownpapertickets.com/event/3566835. Garden Traveler: Saturday, Sept. 8. Discover author Marty Wingate’s favorite English, Scottish and Irish gardens. Marty is a Seattle-based writer and speaker on gardens and travel. 11 a.m. to noon. Reservations required. Class fee $8. Christiansons Nursery, 15806 Best Road, Mount Vernon. 360-466-3821, www.christiansonsnursery.com. Season’s End Brunch: Sunday, Sept. 9. Join Growing Alliances to celebrate the end of a second season growing food in downtown Bellingham, strengthening youth job skills and addressing local food insecurity. Enjoy a brunch grown by the Youth Garden Crew, a kids’ corner, music by local artists, and food, garden and family related auction items. 10 a.m. to 1 p.m. Boundary Bay Brewery, 1107 Railroad Ave Bellingham. Children welcome. Visit http://growingalliances.org/events/ to find out more. Contact Kali Crow at info@growingalliances.org or (206) 595-6878. Arlington Book and Bake Sale: Tuesday and Wednesday, Sept. 11-12. Visit the Friends of the Arlington Library sale to purchase delicious homemade goodies, and books – including the featured Antique Books at a great price! Any purchase lets you enter a drawing for our special door prize. Proceeds benefit library programs, outreach or enhancements. Tuesday 9 a.m. to 3 p.m. and Wednesday 10 a.m. to 2 p.m. Arlington Library, 135 N Washington Ave, Arlington. How to Make Less Waste: Tuesday, Sept. 11. Jenica Barrett, creator of Zero Waste Wisdom, discusses making less waste, local recycling, bulk shopping options, and sustainable switches in the house and beyond. 6 p.m. North Fork Library, 7506 Kendall Road, Maple Falls, (360) 599-2020. Birchwood Garden Club’s September Meeting: Wednesday, Sept. 12. Christina Pfeiffer will be the Birchwood Garden Club’s September guest speaker. Christina is a horticulture consultant, arborist and co-author of the book, “Pacific N.W. Gardening Month-By-Month.” Our topic will be a combination of pruning so you don’t have to do it as often and recovering an overgrown garden. 7 p.m. Whatcom Museum Rotunda Room, 121 Prospect Street, Bellingham. www.birchwoodgardenclub.org. 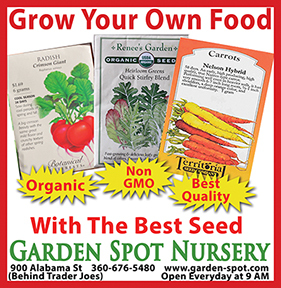 Birchwood Garden Club membership is open to anyone in Whatcom or Skagit County. Build a Cider Press: Wednesday, Sept. 12 and Saturday, Sept. 15. Learn how to build an economical press from simple everyday supplies. Discussion will include apple varieties, bottling, and what products you can make from apple juice. Presenters Capp Connors and Phil McRee have built several cider presses, and Capp markets his apple juice at the Blaine Gardeners market and also makes hard cider (not for sale). Wednesday is 4-6 p.m. Saturday is 10 a.m. to noon. Blaine Library, 610 3rd Street, (360) 305-3637. The World Of Hydrangeas: Saturday Sept 15. Join local Horticulturist Judy Boxx, award winning floral designer and noted member of Washington State garden club. Here is your chance to learn more about these powerhouse plants. Free. 9 a.m. Garden Spot Nursery, Bellingham. 360-676-5480, garden-spot.com. Digging, Dividing and Storing Dahlias: Saturday, Sept. 15. Kathy and John Willson will demonstrate proper and reliable ways to dig, divide and overwinter dahlias to expand your collection from year to year. Along with beautiful flowers they develop multiple tubers (roots) that can be divided in the Fall. An informative class that will undoubtedly include the discussion of many wonderful named varieties. 11 a.m. – noon. Reservations required. Class fee $8. Christiansons Nursery, 15806 Best Road, Mount Vernon. 360-466-3821, www.christiansonsnursery.com. Teacher Appreciation Day at Mount Vernon Farmers Market: Saturday, Sept. 15. The Mount Vernon Farmers Market would like to honor all Skagit Valley Teachers. Gifts, VIP treatment, and a special ceremony at Noon. Mount Vernon Farmers Market at Riverwalk Park in downtown Mount Vernon. See www.mountvernonfarmersmarket.org. Bread Lab! Book Launch: Saturday, Sept. 15. Kim Binczewski and Bethany Econopouly, plant researchers at The Bread Lab at Washington State University, Mount Vernon, make their picture-book debut. Published in Cooperation with The Bread Lab at Washington State University, Mount Vernon. Sponsored by the Bread Bakers Guild of America. Kim Binczewski is the Managing Director of the WSU Bread Lab in Burlington. Kim will be joined by Renee Bourgault of Breadfarm and, together, they will lead kids in a sensory activity involving samples of wheat, barley, rye plants, and seeds. Samples of bread included. This event is co-sponsored by The Bread Lab at WSU, Mount Vernon. 2 p.m. Village Books, Fairhaven. Fidalgo Bay Day: Saturday, Sept. 15. Fidalgo Bay Day is Skagit MRC’s signature educational event that has taken place each year since 2004. The purpose of this free educational event is to increase public awareness of the marine environment and foster environmental stewardship. A variety of fun interactive activities for all ages, including educational displays, games, kid-friendly crafts, Samish canoe rides, complimentary seafood samples, Samish no-host salmon BBQ and more. The Shannon Point Marine Center’s mobile marine sea creature touch tank and the beach seine demonstration are also two very popular hands-on activities for the entire family. 11 a.m. to 3 p.m., Fidalgo Bay RV Resort. WSU Livestock Advisor Program: Training begining Sept. 17th. Burlington Extension Office. Ten weeks from 6-9 p.m. Cost $125 and you can bring a second person from same farm, family for free. For more information, contact Joan DeVries at 360-428-4270, ext. 240 or joand@wsu.edu. See https://extension.wsu.edu/skagit/agriculture/volunteer/. Bellingham Sea Feast: Friday and Saturday, Sept. 21-22. Friday in downtown Bellingham and Saturday at Zuanich Point Park and Squalicum Harbor. Meet Your Fishermen: Dock walks, boat visits, knot-tying and net-mending demos, and much more. Demos, Harbor Boat Ride & Tour of Ice House and Fish-Processing Plant. lots of food, and more. For more details, see www.bellinghamseafeast.com. Annual Skagit Valley Giant Pumpkin Festival at Christianson’s Nursery: Saturday, Sept. 22. Pumpkin weigh off registration from 9 a.m. to noon. ​Christianson’s Nursery is partnering with Pacific Northwest Giant Pumpkin Growers (PNWGPG) to host this festival. Giant Pumpkin Weigh Off, pumpkin carving demonstration, Anacortes Brewery beer garden, carnival games, pony rides, face painting, “The Bat Lady” and so much more. See www.christiansonsnursery.com/whats-happening. Pioneer Days at Stillaguamish Valley Pioneer Museum: Saturday, Sept. 22. A fun day for children of all ages, hands on activities include milk a cow, wash clothes, sewing machines, old toys, shake shingles, churn butter, grind wheat and more. Free. Museum admission $5 for adults, $2 for children 12 and under. 1-4 p.m. 20722 67th Ave NE, Arlington, 360-435-7289. “Make It And Take It” Hypertufa Planter: Saturday, Sept 22. Known as “lighter-than-concrete” sinks, hypertufa containers have been used in Old-English gardens for centuries. Create your own with Kim, as she shows you how to mix and mold your own planter in this ‘Make It and Take It’ workshop. Bring rubber gloves. $39. 9 a.m. Garden Spot Nursery, Bellingham. 360-676-5480, garden-spot.com. Fall Bunting Workshop: Saturday, Sept. 22. Avid crafter Kaileigh Hubbard will show you how to repurpose a book by using pages to create a beautiful autumn themed banner to hang in your home this fall. Materials will be provided or attendees may bring their own books if they’d prefer. 1 p.m. Blaine Library, 610 3rd Street, (360) 305-3637. Kitchen Cutlery – Care, Use, and Sharpening: Saturday, Sept. 22. Why is a sharp knife safer than a dull one? Learn the basics of knife sharpening from Phil McRee, including the proper care and maintenance of your cutlery. Discover valuable tips and tricks along with a hands-on demonstration. Registration is required and class is limited to 15. 10:00 AM to 12:00 PM. Blaine Library, 610 3rd Street, (360) 305-3637. Water Bath Canning: Wednesday, Sept. 26 and Saturday, Sept. 29. Learn about the best produce for water bath canning as well as preparation, safety, how-to, and resources. If you already know how to water bath can, join us anyway to help share the knowledge. Handouts and samples available. Presented by Blaine C.O.R.E (Community Orchards for Resources and Education). Wednesday time is 4 p.m. and Saturday is 10 a.m. Blaine Library, 610 3rd Street, (360) 305-3637. 42nd Annual Everett Sausage Fest: Friday through Sunday, Sept. 28-30. Several performers, a Bavarian beer and wine garden, Bavarian Dinner Haus, carnival rides, arts and crafts, food booths, Xtreme Bingo, kids activities, and a raffle. For your convenience, there is a Sausage Fest shuttle bus, free of charge, running every 20 minutes from the south parking lot B of the Everett Transit Center. Admissin is free. 2619 Cedar Street, Everett. 425-312-5086, www.everettsausagefest.com. Pumpkin Pitch and Harvest Festival: Saturday, Sept. 29. Medieval-looking machines hurling pumpkins through the air, zucchini car races, pumpkin painting, pie eating contest, pony rides and lots of kids activities, all for free! The Burlington Pumpkin Pitch is presented by the City of Burlington and their Parks & Recreation department. Free kids zone all day, food vendors on site, live music and more. 1100 S. Skagit Street, Burlington. For more information, see https://www.facebook.com/harvestfestivalburlingtonwa/ or email recreation@burlingtonwa.gov. Mounting And Hanging Staghorn Fern Workshop: Saturday, Sept. 29. Mount a Staghorn Fern onto an 8-inch recycled wooden plank with Gerry Zimmerman. He will take you step by step in this fun “Make It And Take It” class. Staghorns are epiphytic plants and with moss, their roots will attach to its new home. $49 covers all supplies and fun. 9 a.m. Garden Spot Nursery, Bellingham. 360-676-5480, garden-spot.com. Do It Yourself Fall Container Workshop: Saturday, Sept. 29. In this workshop, everything you need to create a beautiful Fall container will be provided; including step-by-step instruction from container designer Laura Campbell. 10:30 a.m. – noon. Reservations required. Class fee $85. Christiansons Nursery, 15806 Best Road, Mount Vernon. 360-466-3821, www.christiansonsnursery.com. Garlic 101: How We Grows the Stinking Rose with the Co-op’s Garden Jay & Great Northern Garlic: Monday, Oct. 1. Back by popular demand, our special guest presenter Noah Burnell, owner/farmer at Great Northern Garlic and Okanogan Organics, will talk about everything garlic from planting and harvesting to curing and storing. Following the talk you will have the opportunity to taste several varieties of GNG’s garlic so we can compare notes and discuss the complex flavors of this amazing herb. 6:30 p.m. Free. Skagit Valley Food Co-op, Mount Vernon. See http://www.skagitfoodcoop.com and click on workshops. Worm Your Way into Composting! with Callie Martin: Tuesday, Oct. 2. Learn how easy it is to compost your food scraps by harnessing the work of worms in our upcoming vermicomposting class. Class participants will learn the basics of worm bin design, care and feeding. Callie Martin is the Waste Reduction Community Education/Outreach Specialist for Skagit County. 6:30 p.m. Free. Skagit Valley Food Co-op, Mount Vernon. See http://www.skagitfoodcoop.com and click on workshops. Taste Washington Day: Wednesday, Oct. 3. Taste Washington Day is a day for school districts around the state celebrate Farm to School and local agriculture. On this day or another day in October, nutrition services staff, school gardeners, teachers, administrators, and volunteers all over Washington celebrate farm to school, serve school meals with local ingredients, and do activities to learn about the farms that feed us. 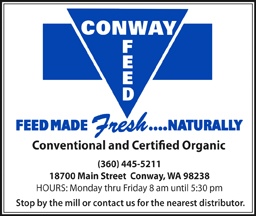 For more information, contact Chris Iberle, WSDA Farm to School coordinator, at ciberle@agr.wa.gov or 206-256-1874. Anacortes Oktoberfest – Bier on the Pier: Friday and Saturday, Oct. 5-6. A two-day extravaganza of beer, ciders, food and music. Enter the event beginning Friday evening from 5-9 p.m. and return Saturday noon to 6 p.m. Held at the Historic Port Warehouse located at 1st & Commercial, in downtown Anacortes allowing for spectacular views overlooking the Guemes Channel and Mount Baker. At least 30 Pacific Northwest breweries, as well as 10 cideries, will be on hand as guests work their way through the six tasting tickets that come with each day’s pass. Designated drivers get in free. For more information call (360) 293-7911 or see https://anacortes.org/bier-on-the-pier/. Cloud Mountain’s Fall Fruit Festival: Saturday and Sunday, Oct. 6-7. Over 200 varieties of fruit and fruit products available to taste and enjoy. Julia’s Pumpkin Patch is open for u-pick or we-pick pumpkins and gourds. Live music on site. Admission supports educational programs at Cloud Mountain Farm Center. 10 a.m. to 5 p.m. Cloud Mountain Farm Center, 6906 Goodwin Road, Everson. See www.cloudmountainfarm.com. 20th Annual Skagit Valley Festival of Family Farms: Saturday and Sunday, Oct. 6-7. See what it takes to run a farm, from growing crops to feeding animals. Fun-filled festival activities for everyone including: educational exhibits, farm tours, harvest markets, gardening demonstrations, free samples, kids activities, corn and hay mazes, animal exhibits, pumpkin patches and more. For a complete list of participating farms and more, see www.festivaloffamilyfarms.com. Mamas Garden Harvest Festival: Saturday and Sunday, Oct. 6-7. Lots of family fun including pumpkins, produce, hay rides, activities, photos, and more. Mama’s Garden, Highway 9, Acme. The Glory Of Japanese Maples: Saturday, Oct. 6. Meet Chris Harling, grower and horticulturist from Eshraghi Nursery in Portland, Oregon. Chris will bring a truck load of his favorite Japanese Maples. Learn how to select, prune and care for your Japanese Maples. Free. 9 a.m. Garden Spot Nursery, Bellingham. 360-676-5480, garden-spot.com. 2018 Quilt & Fiber Art Festival: Friday through Sunday, Oct. 12-14. Exhibition of traditional quilts, art quilts, wearable art, and fiber art. A number of workshops available. Friday and Saturday 10 a.m. to 5 p.m. and Sunday 10 a.m. to 4 p.m. Edward D. Hansen Conference Center, Everett. (360) 466-4288, www.qfamuseum.org. Fall “Make It And Take It” Planter Party: Saturday, Oct. 13. Designer Nancy Elvebak will inspire you in our ‘Make It and Take It’ Fall and Winter Design planting party. You bring your own container, or purchase one from our huge collection. Nancy will help you select the perfect plants for your container. You pay only for the soil and plants, with special discounts on all plants used. 9 a.m. Garden Spot Nursery, Bellingham. 360-676-5480, garden-spot.com. Fibers and BeyondShow and Sale: Saturday, Oct. 13. Shop for one-of-a-kind fashion and home décor items handcrafted by local fiber artists. 9 a.m. to 5 p.m., at Jansen Art Center, 321 Front St., Lynden. Whatcom Weavers Guild juries submissions from weavers, felters, spinners, tapestry artists and jewelers to select for this one-day sale and the ongoing exhibit.The sale culminates the Fibers & Beyond Conference – a week of fiber workshops at the Jansen, highlighted by the keynote address, Warping the Fabric of Time by renowned weaver John Mullarkey on Wednesday, Oct. 10. A juried fiber art exhibit is on display through November. For more information about the Fibers & Beyond Conference, visit www.jansenartcenter.org. 29th annual Fall Craft & Antique Show: Thursday through Saturday, Oct. 18-20. More than 100 crafters and vendors on site, including handcrafted gifts, home decor, vintage treasures, and gourmet delights. Northwest Washington Fairgrounds Expo Building, 1775 Front Street, Lynden. Thursday and Friday 10 a.m. to 8 p.m., Saturday 10 a.m. to 5 p.m. General admission $6, $5 Senior 60+, 12 and under free. Return privileges. See www.lyndencraftantiqueshow.com. 8th annual Fiber Fusion: Saturday and Sunday, Oct. 18-19. Two days of fiber, education and fun. Free admission. Fabulous fleeces – alpaca, wool, mohair, llama and angora – at our fleece shows and sales, as well as free demonstrations, variety of classes, over 60 fiber-related vendors, a live fiber animal exhibit, a fiber arts show, a spin-in and much more. Evergreen State Fairgrounds, Commercial Building and Display Hall, 14405 179th Avenue SE, Monroe. Saturday 9 a.m. to 6 p.m. and Sunday 9 a.m. to 4 p.m. See www.fiberfusion.net. The Best Shrubs for Creating Hedges: Saturday, Oct. 20. Today’s hedges are living walls that create privacy and define garden spaces. Ginger Smith, manager of the Garden Spot, has years of experience designing gardens and private spaces. Bring your garden plans, property measurements and photos. Special discounts for this class. Class is free. 9 a.m. Garden Spot Nursery, Bellingham. 360-676-5480, garden-spot.com. Washington Native Plant Society-Salal Chapter’s Native Plant Sale: Saturday, Oct. 20. Expect to find a good selection of native trees, shrubs, ground covers and ferns. 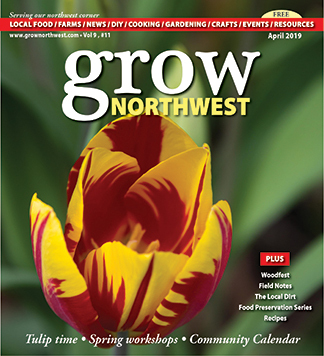 Time is from 10 am to noon, in the Native Plant Garden area of the Skagit Display Gardens, at WSU’s NW Research and Extension Center (16650 State Highway 536) in Mount Vernon. NO PRESALE. For a list of plants available contact Brenda at nativegarden@fidalgo.net. 29th Annual Wild Mushroom Show: Sunday, Oct. 21. Presented by the Northwest Mushroomers Association. 200-300 varieties of mushrooms growing in our area will be on display, identified to genus and species, and with edibility recommendations. Learn how to tell species apart, focus on look-alikes, and new this year, see information on some mushrooms’ medicinal properties. Book sales, an ecology and conservation table, children’s activities, hourly presentations, and mushroom identification help. Mushroom club membership, should you choose to join, will allow you to register for identification classes and attend forays and meetings in the coming year. Bloedel Donovan Park, Bellingham. Noon to 5 p.m. Admission is $10 for adults, $7 for students and seniors, children free. Visit www.northwestmushroomers.org. “Make It And Take It” Lasagna Bulb Planter: Saturday, Oct. 27. Back (yet again!) by popular demand, Marcy will teach you how to layer spring bulbs, from early snowdrops to daffodils to late tulips. Sixty days of color await you with the first signs of spring! Workshop fee is $39 and includes all supplies. 9 a.m. Garden Spot Nursery, Bellingham. 360-676-5480, garden-spot.com. 7th Annual Women in Agriculture Conference: Saturday, Oct. 27. “Pump Up Your Financial Fitness” is the theme for the seventh annual Women in Agriculture Conference. Interactive day full of inspiration, learning and networking with other women farmers. The 2018 conference is a one-day event held simultaneously at locations throughout Washington, Alaska, Idaho, Montana and Oregon. The day includes learning how to use your “financial numbers” to establish a cash flow and a local panel of women farmers who will talk about the different ways they balance their lives. Visit the website for more information and locations: www.WomenInAg.wsu.edu. Snohomish County Mycological Society Mushroom Show: Sunday, Oct. 28. Sponsored by the Snohomish County Mycological Society in cooperation with Everett Parks & Recreation. Mushrooms are collected in season and placed on display. The public is welcome to bring their own discoveries for possible identification by an expert. Learn to identify more than 100 different types of mushrooms. Visit with vendors, attend lectures and watch demonstrations. Free admission. 10 a.m. to 5 p.m. Floral Hall at Forest Park, 802 E. Mukilteo Blvd., Everett. For more information, visit www.scmsfungi.org.